This image was the beginning, the start of thinking and exploring the place of art as a medium for my expression of worship, prayer, spirituality and theology. It was created as a reflective exercise whilst on a Retreat with the Wesley Study Centre at Ampleforth Abbey. 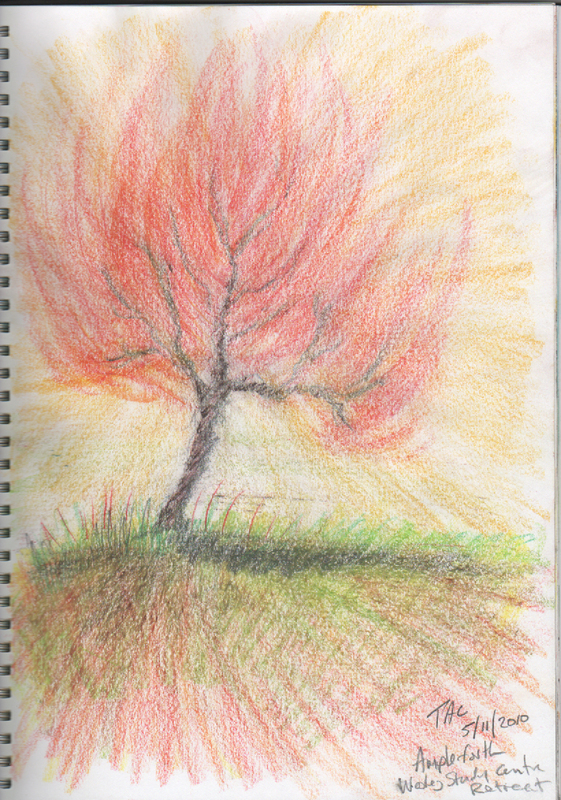 My inspiration came from the collision of the subject of our meditation (Moses’ encounter with the burning bush) and the colour of the trees to various autumn hues of yellows, golds, reds and oranges that filled the landscape around us. I wondered if Moses had in fact stumbled upon an autumn tree in all its fiery glory and in the wonder somehow encountered God in a way that we often do when our senses our flooded with some transcendent beauty. Hi Tim, Thanks for putting these pictures up. It is a real gift you have and greatly appreciated. I am a visual person so this really helps me. Keep it up.